Get in the best shape of your life - without the time or expense! 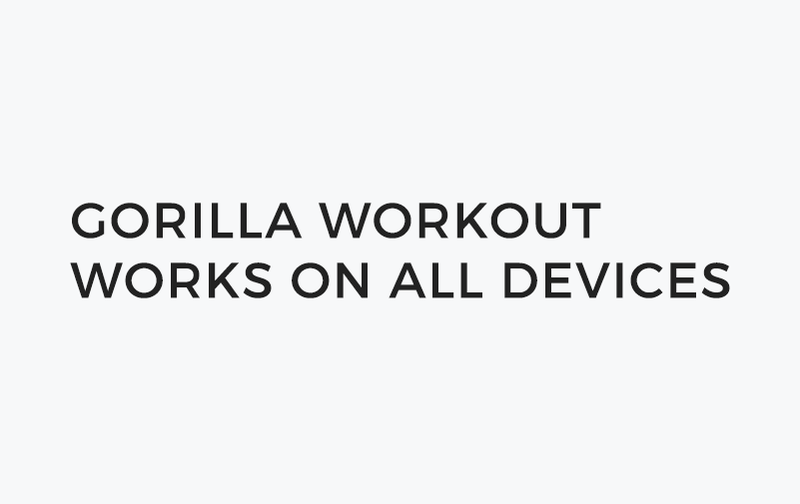 Whether you're just getting back into working out or want to take your fitness to the next level, make it happen with Gorilla Workouts. These fun and accessible exercise routines go wherever you are, giving you that extra nudge to stay healthy with exercises that maximize impact. without toiling under a bench press? to bed. No matter what your lifestyle, fitness fits in your daily routine with this approachable workout app. Train with Apple’s Health & Fitness app of the year! Maximize your workout time with combined cardio and strength training. Every move has proven results. Train wherever you are, without weights or machinery. Just your phone and your will power. Tone muscles, eliminate fat, and improve agility with combined cardio and strength exercises – the full fitness package. With 4 levels and 175 different workouts, there’s something for everyone. Customize the program for your level and fitness goals! Not all daily workout apps are created equal. just no comparison when you work out with other apps. Getting fit is more than endless office-gym-home routine. When you work out Gorilla style, you'll have more energy throughout the day, and more quality time for family and friends. 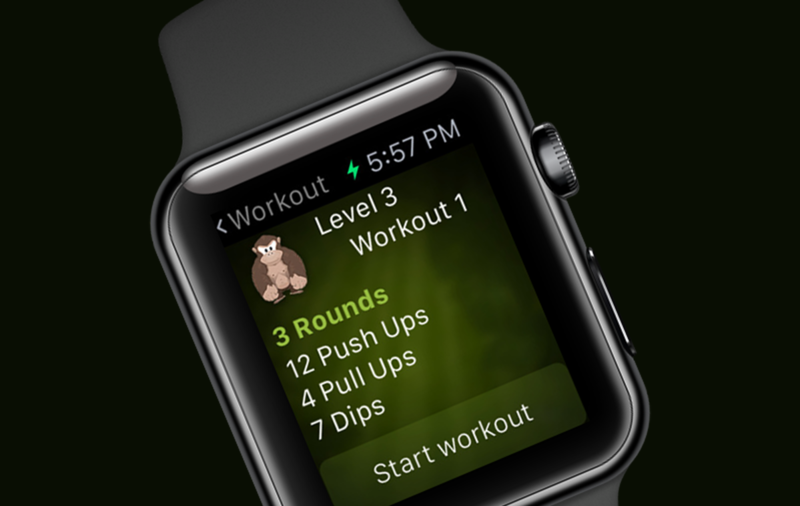 Record your daily calories burned, work out time logged, and muscles worked. Keep accountable by sharing your progress with colleagues and friends. Want to workout, but not sure how to start? 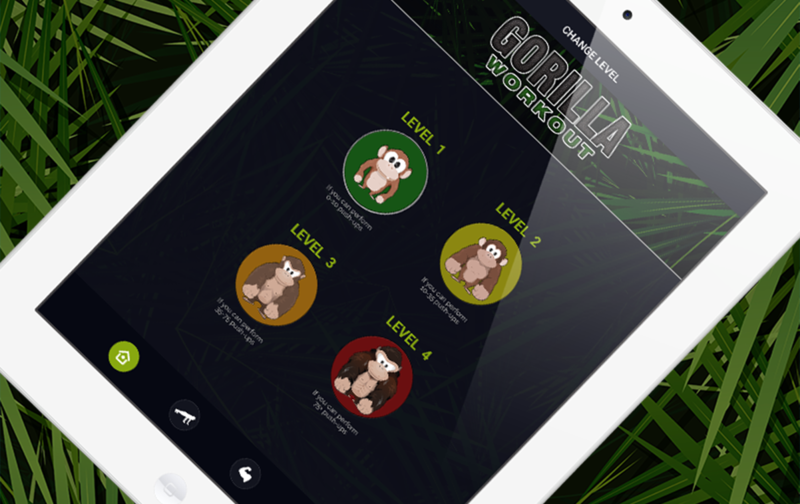 The Gorilla Workout app makes it easy with instructional videos, clear progressions, and a healthy dose of motivation. You can do this! Every exercise in the Gorilla routine is carefully selected to build endurance, strength, and speed, without causing unnecessary strain on your body. The buddy system is a great way to stay on track and have fun! Invite friends and family to work out with you (free!). 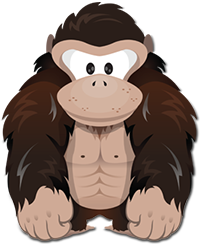 Gorilla exercises are designed for anyone and everyone. 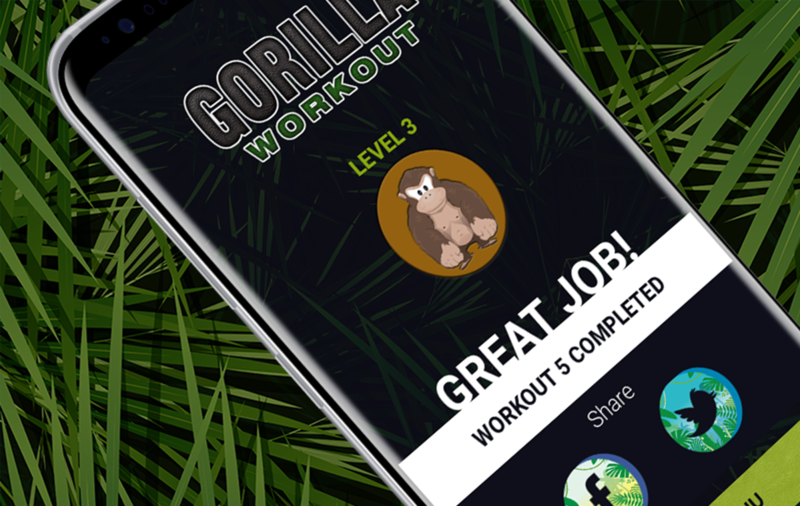 With Gorilla Workout, the next level of workout apps has arrived.